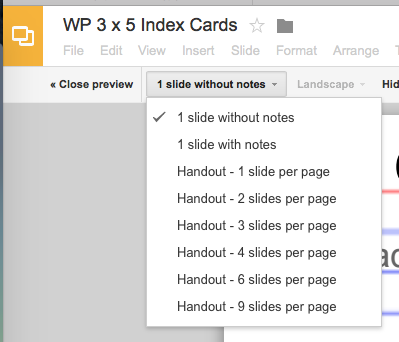 After creating the Google Slides Index Cards template I became frustrated! It seemed rather cumbersome to scroll down and read each slide to determine a logical order. 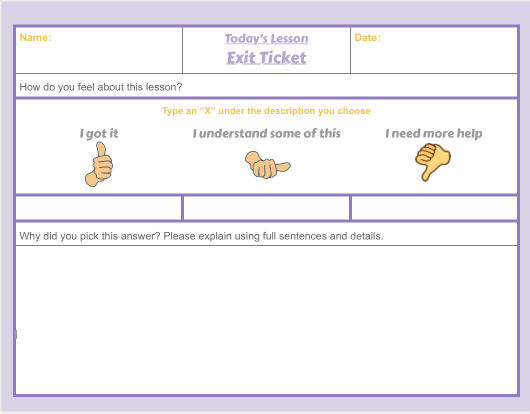 What I was looking for was the easiest way a student could read the cards on one screen. I knew it would be easier for the students to confirm the index research cards were in a logical order if it was on one sheet. When out of the blue it dawned on me to use the print preview. This allows the user to view the slides several times up on one page. Thank you, Ms. Drasby! Your post assisted me greatly. You are welcome! Thanks you for sharing…it truly made my day!